There are lots of makeup sponges on the market today; some great and some not so great. This bad boy, however, seems totally different to me. 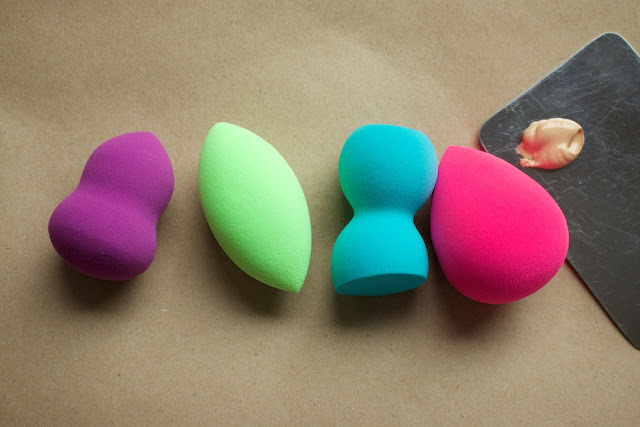 I've mentioned Beauty Junkees before and recently received their 4 piece beauty sponge blender set to take for a spin. 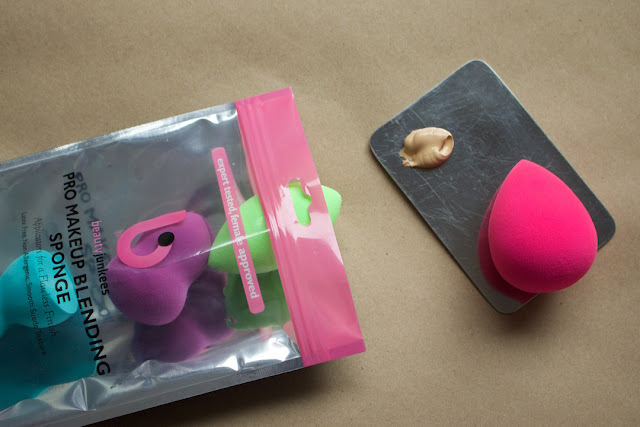 Day to day i either use the Real Techniques Miracle Complexion Sponge (aka tiny sweet potato) or ye olde Beauty Blender Pro and i have pretty strong feelings for both so i wasn't sure what i'd think of these new kids on the block. The pink sponge was the first i gravitated towards since its more of the traditional shape i'm used to. 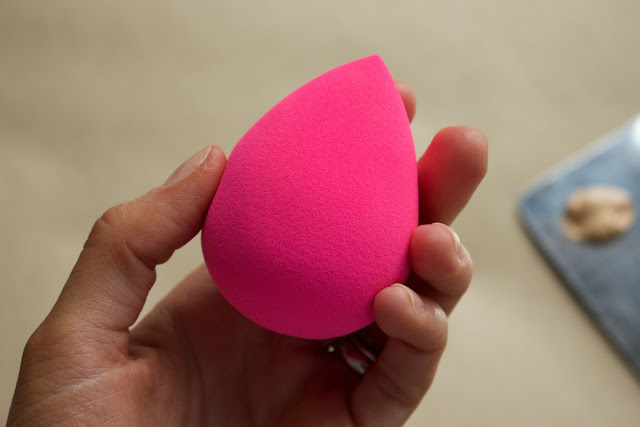 When its dry, it definitely feels very firm and i wasn't sure how i was going to like it but as soon as you've squeezed in under the tap a few times, it turns into the softest, squishiest, suede-like sponge ever. You can see it in use in this video. All of the sponges have a very similar texture and feel firm when dry but turn into the fluffiest sponges when wet. Now, I'm going to try and explain this in a really scientific way so bear with me. I think the bubbles in the sponge are smaller so they absorb a little less product than other sponges i've tried. This prevents it from soaking up too much product but also absorbs just enough excess to leave you without the face-cake. Although i do think the bubbles are smaller, i also think theres more of them; hence the extra squishy puffiness. Its really something you need to experience in person because they're really correct when they say the texture is suede-like. In the past i've found that firmer sponges typically disturb the makeup as it applies it but this just lays down the smoothest, thin layer of product while wicking away excess at the same time. It works beautifully for a light coverage all the way up to layering fuller coverage foundations. I'm not typically one to keep packaging but i like to store my clean sponges back in the bag once they're dry! I've tried all 4 out but i have to say the pink is my favorite, closely followed by the green. These just suit my style of application better but you may prefer the blue or purple! Overall i'm really impressed with these and think they're unlike any sponges i've used before. I'll be sure to continue using these in tutorials so you can see how they each perform! If you want to check out Beauty Junkees, you can do so here or find them on Amazon. How do you clean your sponges? I can't seem to get all my liquid makeup off of mine. Hello lovely! JuSt wanted to let you know the link for the video is actually a link for the black Beauty blender at sephora.